Facebook advertising can be very powerful if you know how to do it well. Facebook ad spy tools are a must for anyone looking to take their ads to the next level to maximize their return on ad spend. All the top CPA affiliate marketers and E-commerce guys use advanced spy tools to copy ads and full campaigns. What are AD Spy Tools? Ad spy tools are mostly intelligence programs which enable you to know your competitors’ ad strategy and deliver you meaningful information which in turn can help you to create your ad for an effective and profitable campaign. How do Facebook AD Spy tools work? Simply put, the websites scrape massive amounts of data of successful, creative and unique ad campaigns from different companies and let you check those by filtering different keywords. Some spy tools also help you in creating your own ad and prepare a report to show its probable effectiveness. You can also schedule campaigns and check their impact from different features of these programs. Overall, Facebook AD spy tools take the responsibility of providing you with a tension-free and affluent online business. Note: Facebook hates people scraping their ads and makes it difficult as possible. If you research FB spy tools, 80% of the websites/tools no longer exist as they have been blocked from scraping the data. Sites that are not banned are those which display ads that are not currently live. These sites give you lots of ideas for yoru ad copy and can be searched by niche. 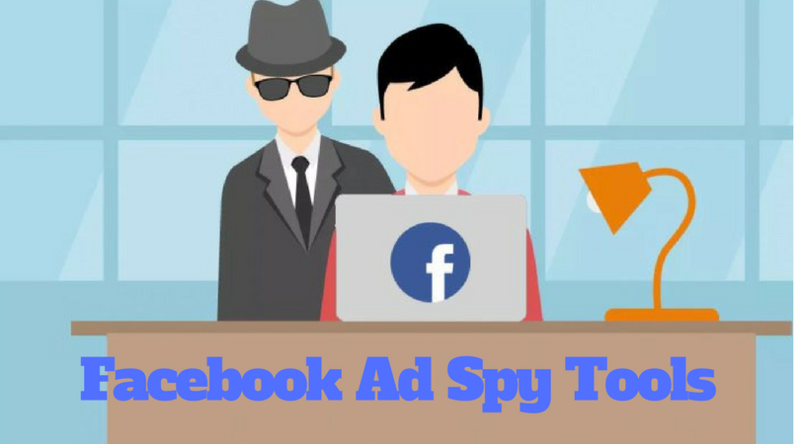 Considered as one of the best Facebook AD spy tools out there, PowerAdspy is a fantastic program that lets you spy on your competitors’ marketing tactics and copy them or get inspired by them to use in your own business. The website has over 1000s of people from all over the world whose responsibility is to go through millions of ads and submit the most successful ones for your benefit. PowerAdspy has a strong database with 5,000,000+ ads, 2,000,000+ advertisers and 1,000,000+ monthly updates. You can draw inspiration from these ads based on your business niche and create a unique and more attractive ad to stay ahead of your competitors. In PowerAdspy, you can search relevant ads without wasting too much time on ads you do not need. It allows you to search by age, gender, interests, keyword, or by the landing page happenings. You can also check out your competitors’ campaigns and track their ads, angles, creatives etc. which will help you to create your ad quickly and effectively. • Allows filtering by Ad positions. • Contains data of millions of successful ads from over 15 countries. • Fresh and popular ads are updated daily. • Delivers engagement-oriented Facebook Ad details. • Provides insight into the competitors’ interest and geo-targets. • Allows searching based on niche keywords. • Features call to action-based sorting process. • No web analytics tool on the website. AdFox is a Russian-based Facebook advertising intelligence software for providing insight into the competitors’ campaigns. It has a database-oriented filter platform which allows the user to view the exact ad based on his preferred niche. You can also search for an ad you liked before by using the advertiser’s landing domain in the search box. Along with providing insights on campaigns created by other companies, it helps you to choose your own angle, target audience and keep a track of its effectiveness. It also lets you view ad engagement level, clicking and buying rate etc. so that you can improve it later. 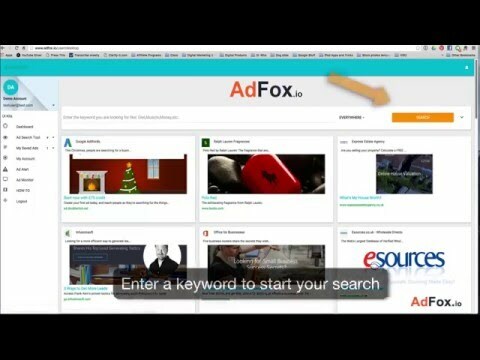 Additionally, Adfox lets you monitor specific ads and save those for future reference. It also helps to reduce the user’s CPC and improves CTR by providing helpful statistics. 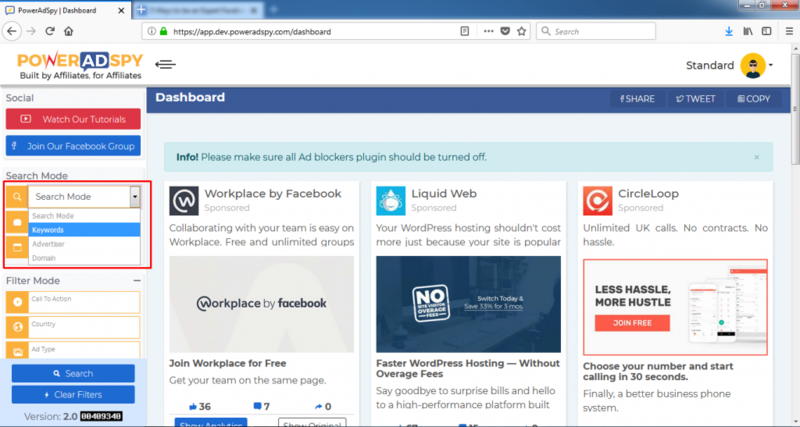 AdFox.io – Facebook Ads Spy Tool In Action! Newsfeed Ads, Sidebar Ads, Post Browser! • Payments can be chosen on three levels of settings. • Available in multiple languages. • Filter based platform for keywords-based sorting. • Authentic client feedback displayed on the screen. • Not the best user interface. AdGenius is a cloud-based advanced spy tool for Facebook ads which currently works on advert data from different business companies in UK (United Kingdom) and USA (United States of America). This spy tool is designed for showing the users which advertisements are being used by other companies under the same niche market. However, most of the ads displayed on the website are sponsored ads but usually not displayed on the advertiser’s own Facebook page. The website also has a first-hand experience of specializing in mobile-based ads. It consists of about 80% of their total ads and is aligned with Facebook’s usage statistics. Moreover, about 85% of their displayed ads are mainly newsfeed ads which are displayed on desktop and tablet only. The website follows an advanced keyword-based search system which allows you to find out the desired and relevant ads based on media type, link type, website type etc. You can also view them based on most recent, most viewed, most liked, most clicked, most searched ads etc. Another facility that the website offers is their full ad exposure program which allows you to see everything in an ad from ad description, ad headline, call to action button, last seen option to number of likes, comments and shares in such a way that you gain meaningful and helpful insights for creating your own. • Statistic details of ad targeting, frequency and placement. • Landing page preview of newly created ad. • Features ad tagging for drawing instant inspiration. • Customizable private ad collection section. • Works mostly for ads in mobile devices. AdPlexity is another amazing intelligence tool to step up your ad game in this competitive marketing sector. Even though the website is relatively new, it has already earned a favorite spot in many users’ list all around the world. AdPlexity draws attention the most for its stunning and vibrant layout created for beginner and expert users. Its modern design has all the essential guidelines needed to find your way around your competitors’ ad strategy and master the art of online marketing by creating your own ad. The software also has an advanced filter system where you can search not only by keywords but also by publisher, adviser, affiliate network etc. Moreover, you can find hundreds of ads promoting offers from different affiliate networks. • Available in English, Russian, Italian. • Intricate analyzation of every campaign. • Large amount of data collection. • Constant addition of new features. • Updated native ads intelligence tool. • Doesn’t have a free trial. Social Ads tool is a premium service for managing and optimizing Facebook ads. It is known for its strong security and trustworthy data as the website itself is a Facebook marketing Partner. Social Ads tool isn’t officially a spy tool, but you can still use it for the same purpose as it lets you modify your own ads based on the other competitors’ spending behavior. You can select your target audience and switch on the website’s optimization engine and get access to multivariate testing rules prepared by the website’s marketing experts. Data analysis is simple and meaningful insights can be gained quickly even from a large amount of data. For international users, the website features multiple languages for convenient working. English, Spanish, Turkish, Portuguese, Russian and Italian are the currently available languages on the platform. Social Ads Tools is a very fast software that can generate 4800+ different ads in less than a minute. The website also offers a slick ad-generation tool which allows the user to check out and prepare an easy campaign. If you do not want to spend every day on optimizing and promoting your ads, Social Ads Tools comes in handy as the program helps you do the both if you take their services. • Price varies depending on the user’s needs. • Strong and experienced support team. • Updated features on a weekly basis. • Effective ad scheduler to run for a certain period. • Deep reporting system to provide insight on the target audience. • Not so user-friendly layout. As you can already assume from the name of this popular Facebook AD tool, it focuses on helping you to optimize your ads as easily as making an espresso coffee. Therefore, the visually pleasing website lets you gain the highest amount of benefit just from following the well-informed dashboard. Basically, it is aimed towards people who are new to using spy tools and features a Canva integration web design tool that works excellently for creating and editing images for ads. In AdEspresso, you do not only gain access to millions of ads designed by your competitors or other successful business companies but also create variants of your designed ads. The website provides you with an advanced metric data result of your campaign which helps you to track and improve your projects. Swiped is a great site for understanding why some Facebook ads work. Along with a lot of facebook ad swipes they also have details on why the ads work. If you don’t want to pay for any expensive Facebook ad spy tools, you can do all your ad spying manually. Here are a few simple steps. You will now start seeing all their targeted ads on Facebook in your FB stream. You know need to use a screenshot tool like Awesome Screenshots to grab a pic of the ad. You can also add some notes on why you like certain ads or why you think they work. 3. Upload all your facebook ad swipes to a platform like Trello or use Pinterest and make the board private. 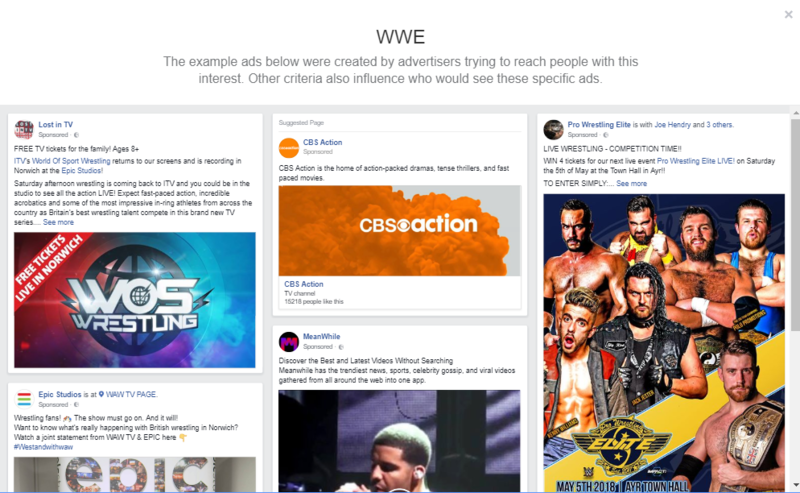 To get more examples, go to your Facebook Ad preferences and select the category you are researching. You can now view more examples of ads people have been using. The SEO Doctor freelance writing team consists of around 10 writers I use for different projects. Hi Gareth – This is Senichi from AdSova. We will be glad to offer you a AdSova FULL plan so you can test it out and drop a detailed review about it to your reader. We are also offering a black friday sale of upto 50% OFF on recurring charges!! I am very fortunate to see this post, I am also doing network marketing, but our company is using bigspy, these tools can be tried later. Thank you for this very useful list! Have you ever heard about LeadEnforce.com? They position themselves as a platform which helps to target competitor’s audience on Facebook. Sounds good I want to try their free trial. Hey Alex – will check it out and add to the list!